Living/dining room: With open fire, DVD and CD player. Kitchen: With electric cooker, micrwoave, fridge, freezer and dishwasher. Bathroom: With bath, shower attachment and toilet.Oil central heating, electricity, bed linen, towels and fuel for open fire included. Cot and highchair. 24 hour laundry service available. Private parking for 1 car. No smoking. 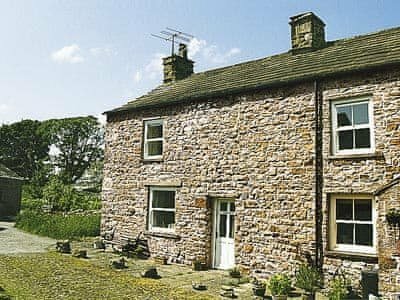 Be the first one to tell us about your rental experience while staying at Dales Cottage. Let us know if the listing matched your expectations. You can share your comments about the location, property owner/manager and all the unique features that made your stay a memorable one.